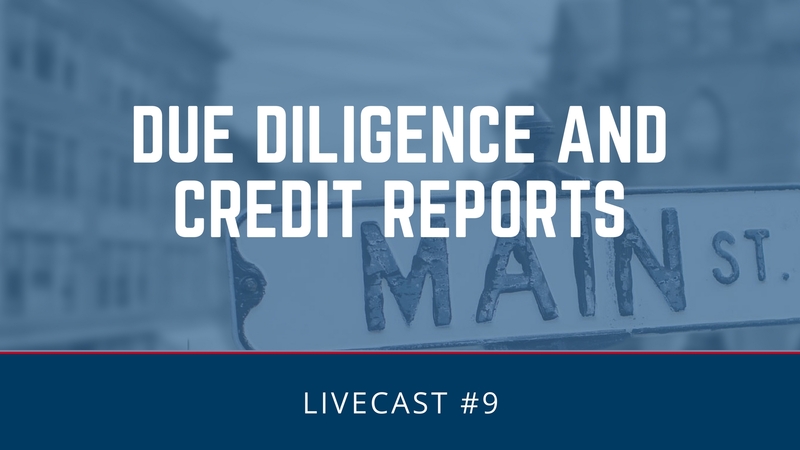 Discover the highly guarded secrets to accessing deeply discounted mortgage note investments. Ron Happe:	Good morning or good afternoon everyone. It's morning in California. Thank you for attending our Livecast Number Three. Thank you also for all of the emails and questions that we've gotten this last week. I think that, based on those emails, we're going to change things around a little bit. First of all, I got a number of questions or comments from people that wanted to see the calculator again, especially on the balloon note and on just the workout of a note from purchase to sale. So I thought we would do that first. 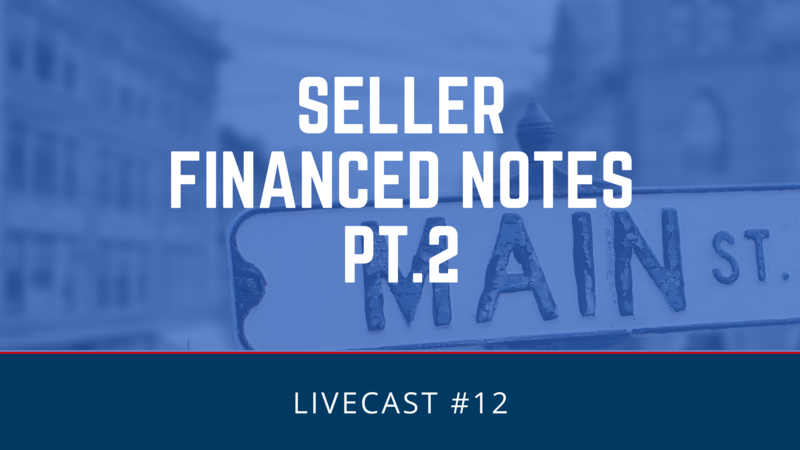 Now, I know there's a lot of people on here that are buying or want to buy first; there's a lot of people that want to buy seconds; and there are people who are interested in buying seller finance notes. 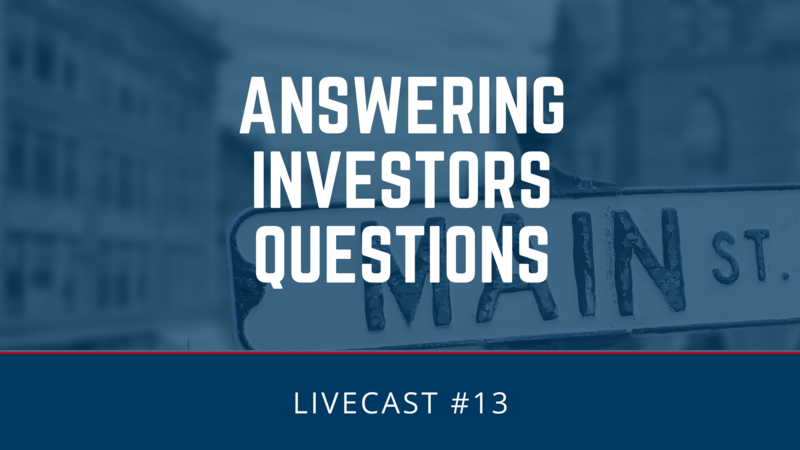 Over the course of this time together, we're going to try to cover all of those issues, but the thing that popped out most often in our questions and comments was raising capital and then the question of, "Why are we doing this?" Those two questions go hand in hand, and so I want to address that first. Then we will get in to redoing a balloon payment calculation on what to pay for a note with a balloon payment. Also, we're going to go through the exercise again to see a note from start to finish, okay? To get started, I want to address the first question is "Why are we doing this? Why are we offering free education when a lot of people are charging upwards of $25,000 for education in a note business?" 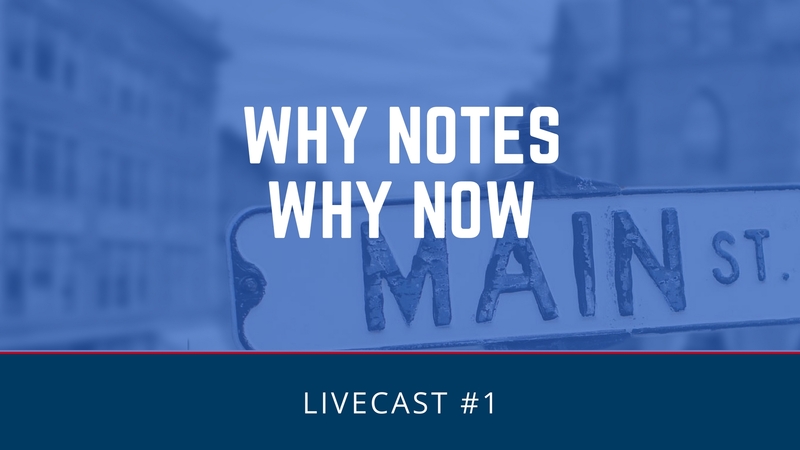 The reason is, if I want to be transparent about all of these, I need to start today, and that is that we're hoping to educate people that want to get in the note business because they've seen the yields that are available, and yet for some reason, they haven't. 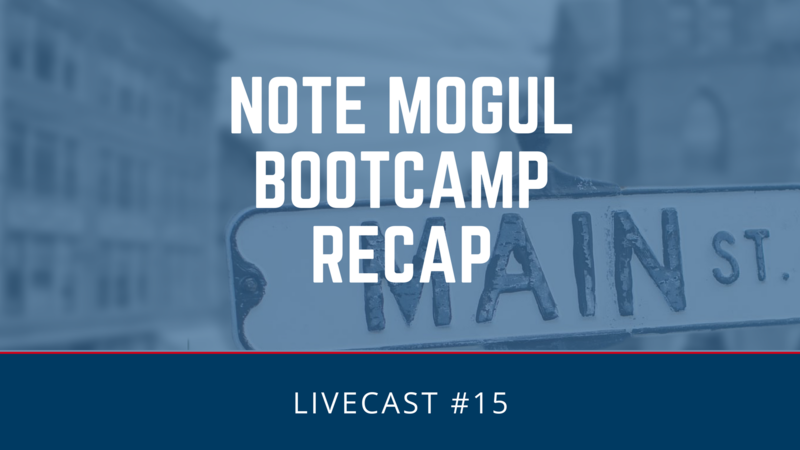 Over the last five or six years, I've gone to a number of note symposiums, seminars, workshops, trade shows, etcetera, and I've seen this industry grow in its appeal. People that want to get involved show up at these note symposiums, and unfortunately, a very, very few ever buy a note. I would come home and I would talk to Krissie and Tyler and we would say, "You know, why are people avoiding getting involved?" We came up with a number of reasons, and we decided, "You know, let's do something about that." 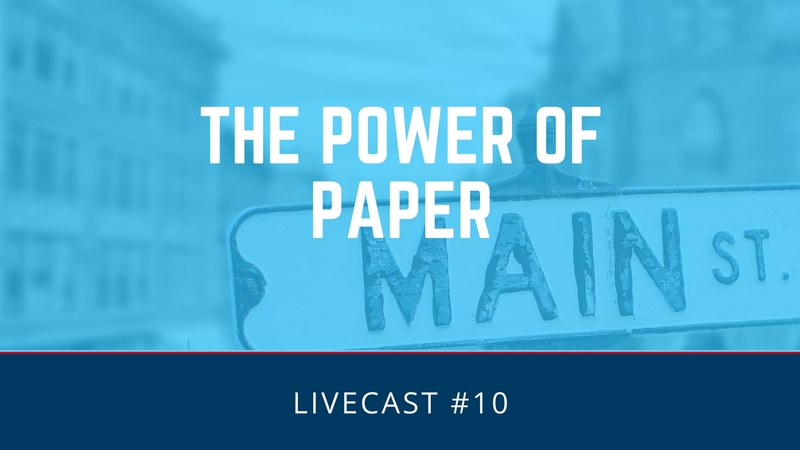 First of all, the reasons that we identified are, number one, that people are just afraid of making a decision on a new aspect of the business and they haven't found a reliable source to purchase notes from. While they may have purchased some education and they feel somewhat comfortable, they don't feel comfortable enough that they could go out and buy on the open market and then know what to do with them or to be able to do the due diligence and price accordingly, and so they just don't do it. Secondly, I think that a lot of people that are looking for these kinds of yields, these kind of investment opportunities that are available in notes, are busy professionals. They realize that there's work involved in getting these non-performing notes to perform and they don't know how much work that is actually and they don't know how much time they're going to be able to or have to spend on that portion of the business. Because they are busy professionals, they don't see themselves going out and actually creating a business around this. Then the third reason, and maybe a very, very significant business, is people are afraid of the legal atmosphere and the legislative atmosphere that's out there, especially after all of the foreclosure fiascos from the large lenders, all of the legislation including Dodd Frank and so on has just made people fearful of getting involved. We decided we're going to do something about that. First, let's provide education free. That if anybody wants to get on and wants to learn about this business from a company that's doing this every day, this is what we do, let's try to do something and we created this livecast and we also have blogs and newsletters and all of the things that are necessary for somebody to get comfortable with this business. But let's take it a step further. Let's create a business around this niche where we can help an investor be the back office for them and do all the things that are necessary that they may not want to learn and may not want to do even if they did learn it. So we have decided to create a company that will take the opportunity from acquisition all the way through sale or cash flow, including all aspects of the back office from acquisition, relationships with hedge funds, with lenders, the purchasing, the due diligence, the boarding, the servicing, the workout, and we'll do this for a person who may want to start their own fund. Basically, what we would do is we would say, "Hey, Mr. Note Investor or Ms. Note Investor, you go out and raise the money, you create a fund, and then we, as a company, will assist you in managing that fund. We'll do everything that we need to do from a back office perspective that you then won't have to do. We will do those workouts on a success fee basis." That's where we're going. Now, once I tell you that and once we move in that direction, the first question that comes up is, "Just what do I need to do to raise money?" We have done that several times. We are somewhat proficient at raising money and we're very fortunate in that we have an attorney that is an owner in this company, Tyler, and Tyler has gotten very experienced in SEC regulations and Dodd Frank legislation, in fair debt collection practices, and everything that would scare an investor, scare them away quite frankly of getting involved in this business. So we've decided that today we're going to get in to some sourcing of notes, if that's what you want to do, and then next week we're going to start a little bit into the fundraising or capital raise and getting involved in raising a money through a fund, through private equity and so on, so that if somebody does want to go out and raise money, they'll be able to do it right. Now, while Tyler would not be able to represent you as an attorney, he can certainly help you manage your attorney that is putting together your private placement memorandum or helping you raise capital. That's the shift that we're going to make, and starting next week we'll get a lot more heavily into the capital raise and SEC regulations and how to stay abreast of everything that you need to do to be in compliance. Again, I need to do the disclaimer first and we're going to just simply state that everything that we're doing here is for educational purposes only. We're not trying to sell any securities and we're not giving legal or accounting advice in order to do that. You need to seek local counsel and local accounting help. All right, so I want to go back to the calculator that we did last week because there were a number of questions and people just weren't clear. By the way, I want to remind everyone that these are being recorded and they are on our website, www.mscpinc.com. If you go there and go up under Publications, you can go to the livecast and you can re-watch these as many times as you want. But one of the things that you need to do, you must get comfortable using a financial calculator. I think one of the confusing things was, and this is coming from people who primarily get involved in the seller finance industry, is calculating what to pay for an interest only note with a balloon payment. So I wanted to go through that one more time. So let's assume that a note was written by a seller for a $100,000 at eight and a half percent interest with interest only payments for five years. That's 60 months. Then there would be a call of the principal of a $100,000 at the end of that 60 months. So in order to solve this problem, what are you going to pay for this note? You need to find the present value of both of the cash flows, and then you're going to add them together. Now, really, there's only three kinds of cash flows. There is a stream of income, that's a cash flow; there is a lump sum cash flow. Sometime in the future you're going to get a lump sum. Or, third, there's a combination of the two. We're going to do this on a combination of the two. So, the first thing that we need to do is we need to calculate what is the interest only payment on a $100,000 note at eight and a half percent. We're going to get this for 60 months. So, the simple calculation is that we have 60 months, five years. 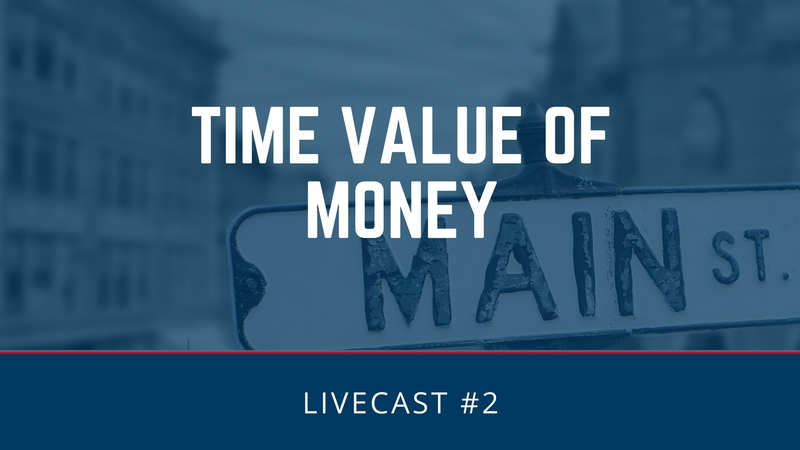 The interest rate being eight and a half percent … Oop … 8.5, the present value would be a 100,000 negative, future value is zero, our payment … Whoa, let's see here. What have we got going here? Eight and a half minus 100, the future val- … Oh, I put zero in, sorry about that. The future value is a 100,000 so that we have a completely interest-only note. At the end of the 60 months, we are going to have a lump sum payment of 100,000. The payment on that is 708.33; $708.33 for 60 months is the interest payment. Now, there is an a lot easier calculation in order to do that. You could simply take a $100,000 times 8.5% and that equals $8,500 and divide that number by 12, and that gives you the same number, 708.33. But I want you to get used to doing the calculator with utilizing the keys at the top: N, I/YR, PV, payment, and future value. All right, so now the next thing that we would need to do is we need to determine how much would we pay for a stream of income of $708.33 a month for 60 months. So that's the next thing that we're going to do. What is the stream of payments worth if we want to yield of 18%. Here we go again. We have 60 months, 18% interest rate is what we earn. The payment that we're going to receive is $708.33 and we need to calculate how much we're going to pay for that. So we have 60 payments. Our interest rate now is 18%. We're going to solve for present value. Our payment remains the same, 708.33, and our future value is zero. So our present value is 27,894.36. That's how much we would pay for 60 months of $708.33 income. All right, now let's determine how much we'll we pay for the balloon. We have in 60 months we are going to receive a $100,000. We want an 18% annualized yield. What would we pay for that note? Well, again, we're going to use our calculator. We have 60 months. We have 18% again. We have a payment of zero and we have a future value of $100,000. Payment should be zero. All right, so what is the present value of a $100,000 in five years from now at an 18% annualized return? 40,929.60. So if we were going to buy a note that had just a balloon payment in 60 months, that payment of a $100,000 is worth 40,929 today. So if we were going to buy this full note with a stream of income plus the balloon, we would pay 68,823.96. Now, if anybody has problems with this, just go back and watch this portion over and over and over again until you get comfortable doing the calculations. All right, next, we want to do a calculation like we did last week on the full life of the loan. In this case, we are going to sell this note after we've got it performing and have collected a few payments. So we need to make a few assumptions. The first is we're going to purchase a note that was written originally for a $100,000, 30 years, fully amortized at 8%. The payment on that note with that amortization schedule, and here is the amortization schedule. This is what one looks like. It shows you every payment, every payment date, what the balance was before the payment was made, how much interest, how much principal and what the balance is at the end. So on this case here, a fully amortized 30-year note at 8% would give you payments of 733.36. Now, this loan, the buyer made payments for 24 months. This is an assumption we're making. They made payments for 24 months, and then they defaulted. 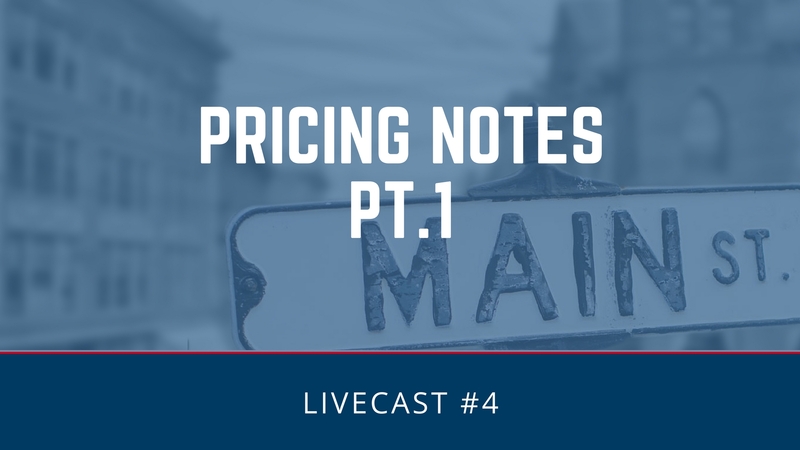 So what we need to do is determine what is the principal balance at the time that we're going … What was the balance left, the unpaid principal balance at the time that we are buying this note? Let's do that calculation rather than just go to the amortization schedule. Let's go to that. The first thing we need to do is it was written for 360 months and they paid 24 months. So there are … Whoops, sorry about that … 360 minus 24. There's 336 months left of 733. This is going to be of, let's say, 733.36, those were payments, so that's a negative. 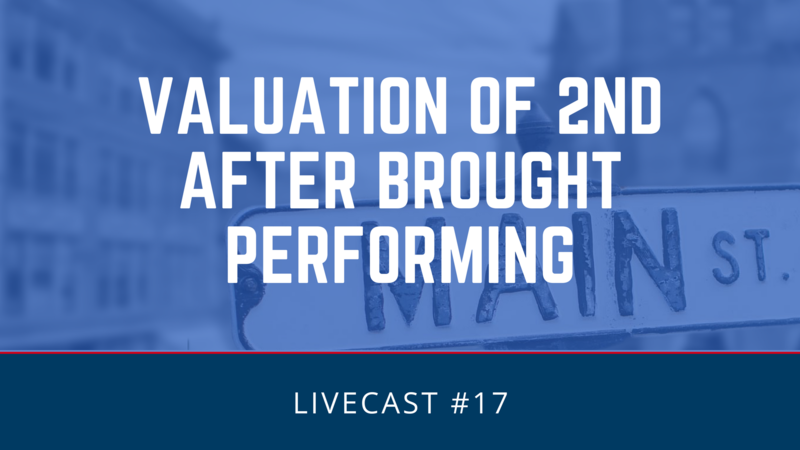 Future value, it's a fully amortized noted, so that's zero, and the interest rate was … What did we say? Eight percent. So what's the present value of that note? What's left on the balance? $98,205, all right. So there's an unpaid balance at the time we're buying it of $98,205 and we're going to pay 15 cents on the dollar for that. This is a delinquent second and we're going to pay 15 cents, so our purchase price is $14,730. In addition, there's a delinquent amount of 24 months at 733.36, so we can calculate that and so we have 733.36 times 24, $17,664 and then let's say there's $25 a month in penalties, in late payment fees. If we add 600 to that, so we add 600 to that, we're owed $18,264 in arrears plus penalties. We buy this note. After six months of working it out, we make an agreement with the homeowner. 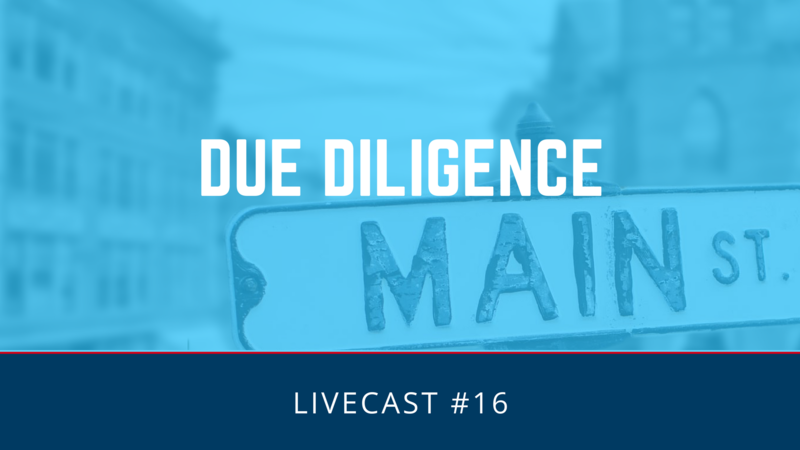 The homeowner will pay a $6,000 in arrearages of that $18,000 and we say, "Look, if you pay this on time for a year," or 18 months or two years, whatever we work out with them, then we will forgive the remainder of that 18,600 or we'll forgive 12,000. We also agreed to receive $500 a month and we're going to lower their interest rate from 8% to 5.5. So now we need to determine how long will it take to pay off $98,205.76 at five and a half percent and $500 per month. So, again, we get out our trustee 10B2, and we know that our interest rate is 5.5%, our present value is 98,205 … 5.5%. Our present value is $98,205.76. We're going to amortize this fully so there's no future value. So our payment is now 500, and that's a negative. How long is it going to take? It's going to take us 504 months. Now, I know that many people that don't understand the business yet will say, "504 months, my gosh, it's a long time." You're right, it is a long time, but we all know that most mortgages would never ever go that far. But we're going to figure that up. What would we pay now if we knew we were getting $500 a month for 504 months and we wanted an 18% yield? So what we're doing here is we are buying this note. We're working it out. We're collecting some money on it. We're collecting some arrearages, and then we're going to sell it to an investor and we're going to say, "Mr. Investor, we can do this and give you an 18% return." So what we're trying to determine here is what would that investor pay to get an 18% return on a $500 a month payment for 504 months? So let's go back to the calculator and we know that it's 504 months. Get rid of that 0.1. We're going to offer an 18% yield. We're going to … I say 18 and I put in five. All right, we're going to get a payment of … We're actually going to receive a payment of $500 and we're going to receive this. There is no future value. It's fully amortized, so what would the investor pay to get that 18%? The investor would pay $33,314.97. How did we do on this note? Well, we purchased the note for 14,700. We sold it for 33,314.97. We collected arrearages of 6,000 and during the time that we were seasoning the note, we collected six payments of $500 each for $3,000 total. So we collected over the course of a year $42,314.97 paid 14,700 for it, so we have a profit of $27,584.97 in one year or a 12-month ROI of 187%. Isn't this a great business? We have kept a homeowner in their home; we have reduced their payment to an affordable amount; we have given a super return to an investor; and we made a profit in the process. That is the information that I wanted to go over again that we were requested, and this is what entices people to get into this business is their kind of returns that would be available. Let's say that only half of the loans that you bought performed like this, you still have a super return. That's why we decided to get into the business of doing the back office for people because we are experienced at it and we do a good job. We have the context necessary in the industry from the hedge funds and the lenders and so on with two full-time people that do nothing but call banks, looking for loans, and a super relationship with hedge funds that we can buy from. We are deciding to get into that business of taking care of people that want to do it but don't want to get involved in the back office part of it. These are the kind of enticements that people see in the business and now, I think, we're solving the problems of the reasons they don't want to get involved. 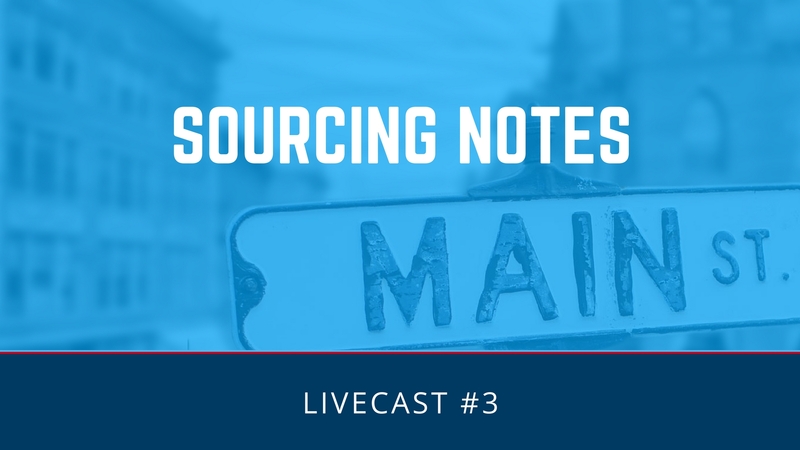 For the remainder of the day, I'd like to get into the aspects of sourcing these notes and the ways to go about sourcing the notes. Now, one way of sourcing, of course, is through us. We sell both non-performing and performing notes. We sell notes that we've purchased in a pool and we can make many pools out of those and sell them off. We sell first, we sell second. We also sell notes, of course, to investors that are looking for the 18% yield passively. Certainly, you can look to us to purchase. But primarily, the way we purchase is, number one, through hedge funds. Now, if you're not familiar with the business, the way that this usually operates is that the large hedge funds will buy from the major lenders. The major lenders, so let's say, being a Chase, B of A, Wells, Citi, PNC and GMAC and so on, Ally, these banks sell very large portfolios to large hedge funds. A portfolio from a large bank may include non-performing mortgages, both first and seconds. It may include auto debt. It may include credit card debt. So the hedge fund buys it and usually the hedge fund has a mode of operation in which they would want to keep certain portion of those funds. In our case, they buy all of these non-performing assets and then they cut them up into smaller portfolios or smaller tapes or pools, and this is what we buy. While they may be buying at $50 million or $100 million, we're buying it substantially less numbers of that, but we're buying a particular trust. We might be buying first or we might be buying seconds. The other place to go to look for notes to buy are regional banks. Now I know a lot of investors like to stay in their own backyard, and this would be the place to go to buy if you did want to stay close to home. Now, it's surprising, but most regional banks also loan nationally or they buy loans on a national basis. Keep in mind that just because the bank is located in your hometown doesn't necessarily mean that all of their loans are there. But this would be the primary source if you did want to stay in your backyard and we do have people that buy from us that want to buy only in certain states and, some, in certain cities. I would look through these regional banks. Now, down the page there you see distresspro.com. Distresspro.com is a very helpful website where you can find out the conditions of a bank and find out whether or not that bank can even afford to sell a loan. Now, as of January 1, 2015, the Basil III requirements are coming in and those Basil III requirements are requiring banks to up their reserves, their cash reserves. Now, most of the large banks have been doing an adequate of selling off their toxic assets over the last four or five years, and by doing that they have raised the amount of cash that is necessary for them to meet their reserves. However, the regional banks have not. The regional banks have not been in a position to write those loans off of their balance sheet because their balance sheet would take such a hit, but that can no longer be the case. After January 1st, they must sell these toxic assets to raise cash to bring up their reserves. So we are expecting the fourth quarter of the year, which is rapidly approaching, next month, to be a big banner time for a lot of regional banks to be selling their portfolios and then addition to that is the HELOCs that are going to reset in 2015 through 2017 should increase the inventory in the market because a lot of people's payments are going to go up significantly. The other place to go is through brokers. Now, you have to be careful with a broker because there are some that are just taking other broker's product and trying to sell it. I know of one hedge fund that receive their own notes to look at. Be sure you're working with a reputable broker once, but that probably, if you could, find a broker who is direct from a seller and isn't daisy chaining their inventory so that three or four people have it. Really, the loss exposure that you get on these is the best. So then we have Distress Pro is something that I would recommend that everybody get to. Take a look at that. Learn how to use it. In addition to Distress Pro, one of the problems that you have when you're trying to call banks is identifying who the player is at the bank that you should be talking to. One of the ways that you can find that out is through LinkedIn. If you go to LinkedIn and you look for asset managers, you'll find probably a half a million of them. If you can find the one that the bank that you're looking for, that's probably the first place to call. The second thing you can do is when you receive a name, if you'll find a name, a lot of times you won't be able to get through on the telephone, but if you go to jigsaw.com; J-I-G-S-A-W.com, you can find email addresses for people. This is an interesting website in that you can buy email addresses with email addresses. If you want a certain person's email address at a certain bank, you can locate that and you can pay for it by giving Jigsaw an email address of someone else. That's the way they build their database. There's also some websites that specialize in selling notes. One is a LoanMLS.com. 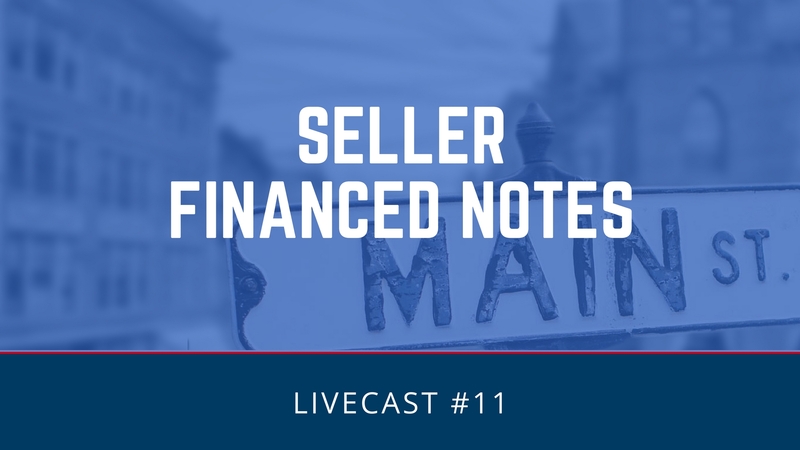 Loan MLS is like a multiple listing service where people that have notes available for purchase can sell them. There's also FCI Exchange, and FCI is a company that sells notes for both hedge funds and individual note holders. That's a good source, a lot of notes available on those two sites. 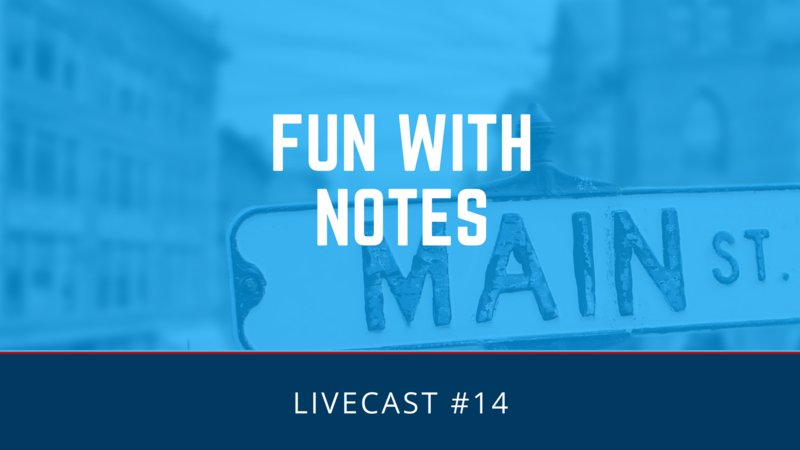 If you just Google notes for sale, you'll find a plethora of places that you can go to find notes. Now, what you need to do when you do this is you need to be able to use a calculator and you need to figure out what you're willing to pay and how that note is going to conform to your structure or your profit incentive. 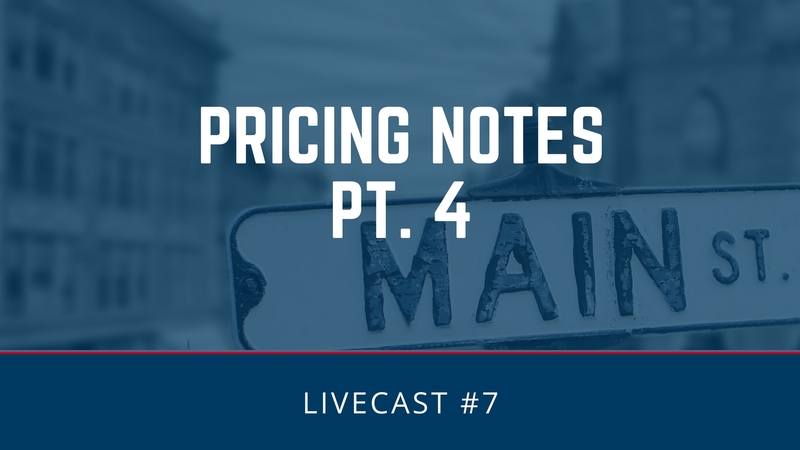 I think that next week we're going to get into pricing notes a little bit, and then we're going to spend some time on raising capital through a fund. The selfish reason for doing that is that if you decide that you want to raise capital, you want to start a fund, you want to manage that fund, we would be happy to be your back office. That takes all requirements away from you. We're licensed to do business. We can do the servicing. We can do the workouts. We can collect the funds. We can do the escrows, and then if you would like, we can sell those for you or you can keep the loans for cash flow. It's entirely up to you. Okay, so I thank you for showing up again today. Again, if you want to review this, it will be recorded and on our website. If you have friends that are interested in the note business, please get them to our website. Get them to watching these livecasts, to watch or to listen to our blogs, etcetera. We really do want to educate people on this enchanting and great, great business. Thanks again. See you next week.